School administrators have reported hearing strange noises coming from this stairwell in Morrison Hall. A floor-to-ceiling fence blocks off a banister where a girl named Clara is rumored to have climbed up on and hung herself. Adelaide Davis, class of '61, is the current director of Alumni Relations. 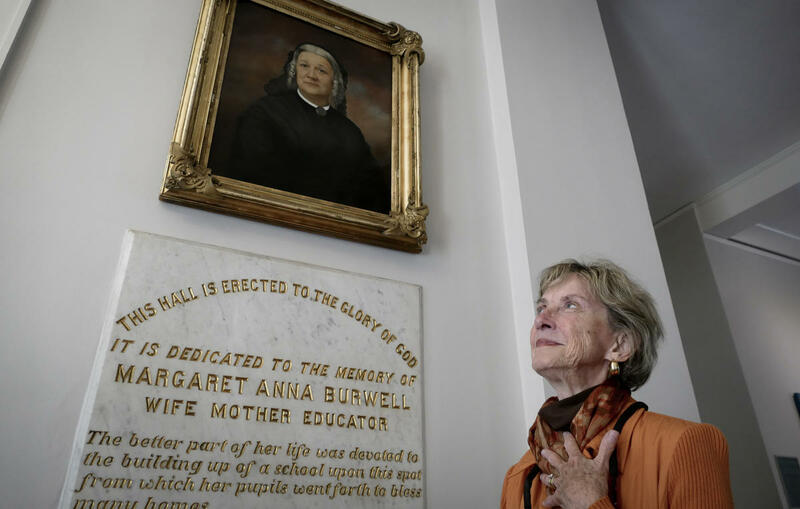 She works in Burwell Hall which is said to be haunted by the ghost of Margaret Anna Burwell, the wife of the university's first president. Several buildings on the historic campus in Charlotte's Myers Park neighborhood are said to have resident spirits, enough that every year, the school hosts a campus-wide ghost tour. 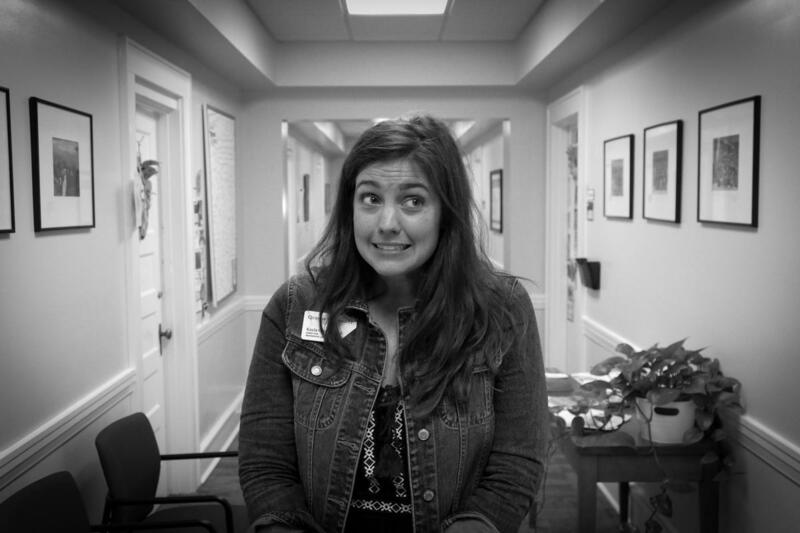 Kayla George, director of residence life and housing at Queens University, on the second floor of Morrison Hall. Special thanks to Adelaide Davis, director of Alumni Relations; and to Leigh Davis and Kayla George in Student Life for sharing their stories. Which question should we answer next? Vote for your favorite in the box below. And do you have a question about the people, places, or culture of Charlotte? Let us know! Submit your question in the box below and we may search for an answer on an upcoming episode! FAQ City: Where's All Of Charlotte's Live Music? Charlotte has never been a Nashville or even an Atlanta when it comes to live music, but that's not to say a local scene doesn't exist here. It's just a little tougher to find, especially after a string of live music venues shut down in the last few years. FAQ City: How Did Charlotte Neighborhoods Get Their Names? Here's a question that comes to us from WFAE listener Summer Cook. She wrote to FAQ City wondering where all of Charlotte's neighborhood names came from. For example, who is Elizabeth? Or Cherry? What about Dilworth?